Retaining walls are designed to keep the area behind the wall relatively dry. The design must route the water away from the back of the wall. A sloped yard is a gardener’s worst nightmare. 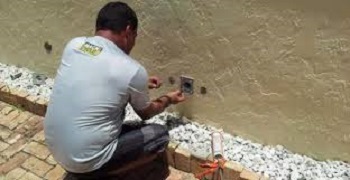 A retaining wall with proper drainage is the best option, and will have any serious gardener smiling again. A build-up of water behind a retaining wall is not only destabilizing, it is potentially downright dangerous. Weep holes in retaining walls are an excellent way to release water pressure. Retaining walls leading to drainage ditches generally have weep holes built in right at the base of the walls. A weep hole or a weep brick is a small opening that allows water to drain adequately. Weep holes or bricks are always located at the bottom of the wall to allow for the drainage and to overcome surface tension. Weep holes can consist of small diameter plastic, clay or metal pipes extended through the walls to enable water to escape from the backfill. Hollow plastic or metal tubes can be used for weep holes in retaining walls, keeping the spacing between the tubes to about 41cm apart. The installation of the tubes must be done at an angle to allow water to drip out. There are other methods, but the tubes are definitely your best option. The holes must not be too small or they may not allow the air to circulate and the moisture will not vent out properly. As you can see, a retaining wall with proper weep holes is a huge benefit to any gardener and household. 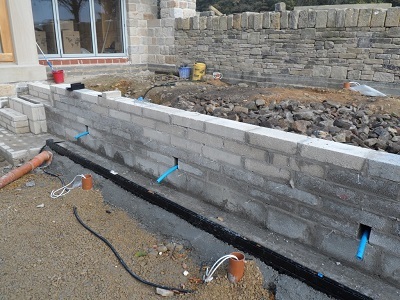 Make sure when you have a retaining wall installed that the weep holes are correctly positioned and sufficient to enable them to release all tension from moisture on the wall. Should you wish to discuss your options regarding a retaining wall, or would like to install or raise an existing wall or fence, please do not hesitate to contact us today to speak to one of our consultants, or to request a free quotation. 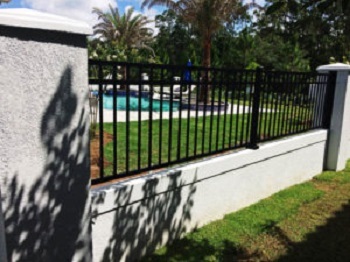 There are various reasons for installing a fence or wall around your property. Security is a high priority, but privacy. and animal and child proofing have their place on the list. One reason that is not often mentioned, or is overlooked, is the ability of a good, quality fence or wall to add distinctive character and aesthetic beauty to your property. Before you make the final decision on which type of fence or wall would be best for your property, it is a good idea to take time and consider all the reasons you need a fence, then decide which option would be best suited to your property. There are many options available, but prefab concrete is probably your best option, especially if security is your major concern. We all know about the escalating crime in our country, and concrete walls make a very good barrier and using concrete palisade will ensure that you can see out, still have privacy, and that there are no hiding places for potential criminals. 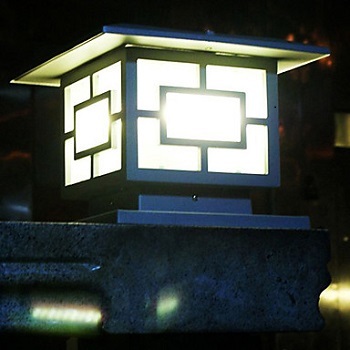 To give a pleasing ambience to your pr operty at night, lighting can be mounted in your fence post caps. This will serve as a welcome to guests, create a pleasing atmosphere outdoors when you are entertaining, and will also ensure that you can better see if anyone is lurking outside your property. A good option would be LED or solar-powered lights. Make sure to take a regular walk around your garden and check your walling or fencing to make sure that it is always in tip-top condition. Concrete can be coloured during the manufacturing stage, so this will aid in keeping your fence or wall looking good for many years. If you have a painted wall or fence, there are many colours you can use to enable your wall or fence to blend into the surroundings, and will also be aesthetically pleasing, which will add value to your property. If you are unsure of what would best suit your needs, why not give Country Wide Walling a call to discuss all options available, which will aid you in choosing the right walling or fencing for your property. Our highly professional consultants will gladly assist you. Whether you need new walling or fencing, or would like to raise an existing wall or fence, contact us today to discuss your requirements, or request a free quotation. Start Thinking Like a Criminal. Good perimeter walls add security to your property and at the same time they delineate property lines. 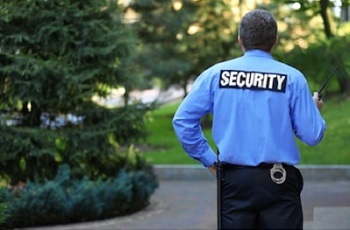 You want your family to be comfortable in your own home, therefore security is a top priority. Your fence or wall is your first line of defence and, if professionally erected will not only guard your property, but will buy you time to get help should the need arise. 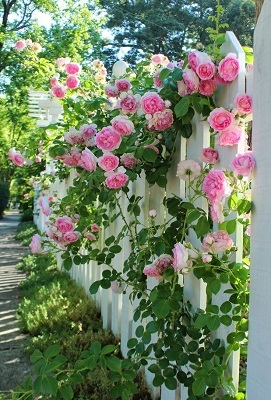 For added security you can train an old English Rambling Rose over the entire fence. Once it is established there is no way anyone is going to get over that wall or fence. The old English Rambling Rose is well known for its vicious thorns. If you are wanting aesthetic beauty as well, then the old English Rose is a really good option, as during the summer months you are rewarded with an abundance of beautiful, fragrant roses. There are things which you, as a homeowner can do to help ensure your property is secure and as safe as you can possibly get it. A criminal would inspect your fence to see whether there are any weak spots where they can gain access. Make a habit of regularly taking a walk around your property and inspect the wall or fence to ensure that there are no weak spots, which are an open invitation to criminals. There are ways to upgrade your fencing to help ensure your safety. You can have a variety of toppings to make your property unattractive to would-be intruders, e.g. roller spikes, or electric fencing. You can raise your wall or fence to aid in making it more safe and off-putting to criminals. Make sure you have an anti-vandalism bracket on your gate motor to prevent it from being tampered with. If you feel you need your wall or fence raised, or you would like to have a good security wall or gate installed, or to request a free quotation, please do not hesitate to contact us at Country Wide Walling to discuss your options with one of our professional consultants. Research has shown that building high walls is actually not good security. You ask why? The answer is simple. If you are living behind high walls for privacy and security, your ability to see what is going on outside your property is impossible, and it works both ways. You can’t see out, and security companies or police cannot see in. If an intruder gets access to your property they are then shielded from being seen by anyone on the outside of your property, and can then happily go about their criminal activities without anyone being alerted to their presence. 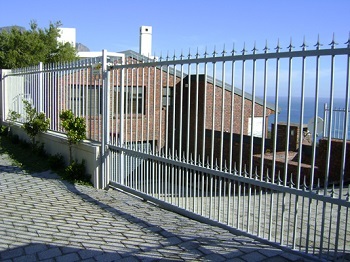 Having palisade fencing on a lower wall gives people on the outside the opportunity to see the criminal and alert the security or police. It could save your life and the lives of your family. 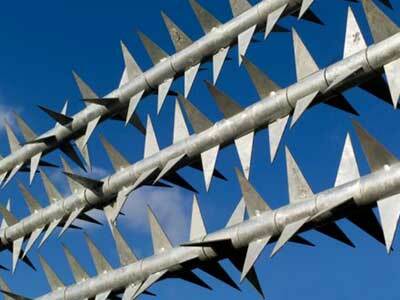 Crime is escalating, and good security fencing is your first line of defence. Stop making your property attractive to would be intruders. South Africa is renowned for having an extremely high rate of violent crime. For example. In the mid 1990’s, South Africa’s murder rate was 6 (six) times higher than that of America and 20 (twenty) times higher than that of Britain. Since 1995 South Africa has ranked in the top 6 (six) countries for violent crime. Don’t become a statistic, with help and advice from the Professional Consultants at Country Wide Walling, you can choose the best security perimeter fence or wall for your property. Better to be safe than sorry. 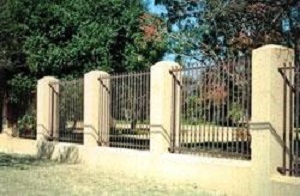 Whether you need a new fence or wall, or wish to raise existing walls or fences, our Consultants will gladly assist you. Do not hesitate to contact us today for advice or a free quotation. It is vitally important that we have a very secure perimeter fence or wall to protect our property and family. It is, and always will be our first line of defence, and, as such, we need to ensure that we have high-security fencing around our property to act as an effective deterrent to would-be criminals. We must always ensure we know the legal requirements necessary for the erection of good perimeter walls and fences, to avoid unnecessary tearing down of a structure because we have not met the legal requirements. This is where it is good to consult with experts like Country Wide Walling, who will be able to advise and guide us in making the best possible choice to meet out specific needs. It is vital to perform a risk assessment to establish threats and consequences of any breaches in security. You need to take into account whether your property is in a high crime area, and also whether there have been attempts to breach your existing security. Sometimes you may need to re-evaluate your security, and the risks to see whether you have achieved an acceptable level of protection. You need to get your security to as close to 100 per cent as possible, and always have the option to add to your protection by installing CCTV, or electronic surveillance systems. Always remember that it is not possible to make your property 100 per cent secure, as a determined criminal will still try and find a way through. In very high crime areas, it is also a good idea to belong to an armed response group. You need to do everything you can to ensure you have peace of mind and feel safe and secure in your home. You need to check periodically that there have been no significant changes in the risk factors in the area you live. If there have been any real changes, you need to up your security in order to meet the new challenges. For you own peace of mind, please contact us at Country Wide Walling, our expert consultants will gladly assist you in making the correct choices, or give you a free quotation.